Have Full Control of All Your Jobs - Visually and Physically. Never Lose a Job or Job Sheet Again. For a 14-Day Free Trial, click here! 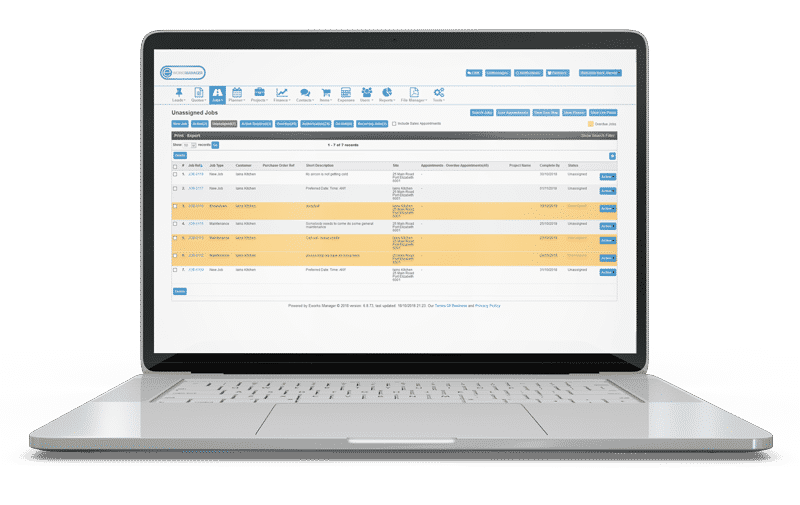 A Full Featured Job Management System Designed to Manage and Streamline Your Entire Business from Start to End. Set up triggers around jobs in the system to be notified when an event happens. For example, when a job is complete, when an expense has been added by the field operative or when a customer creates a job via the customer login portal. 1What is a Job Management System? A complete Job Management System will ensure you are creating, managing and tracking your jobs more efficiently. Having all information in one system will improve transparency and create a streamlined process when it comes to authorising jobs and sending them for invoicing. 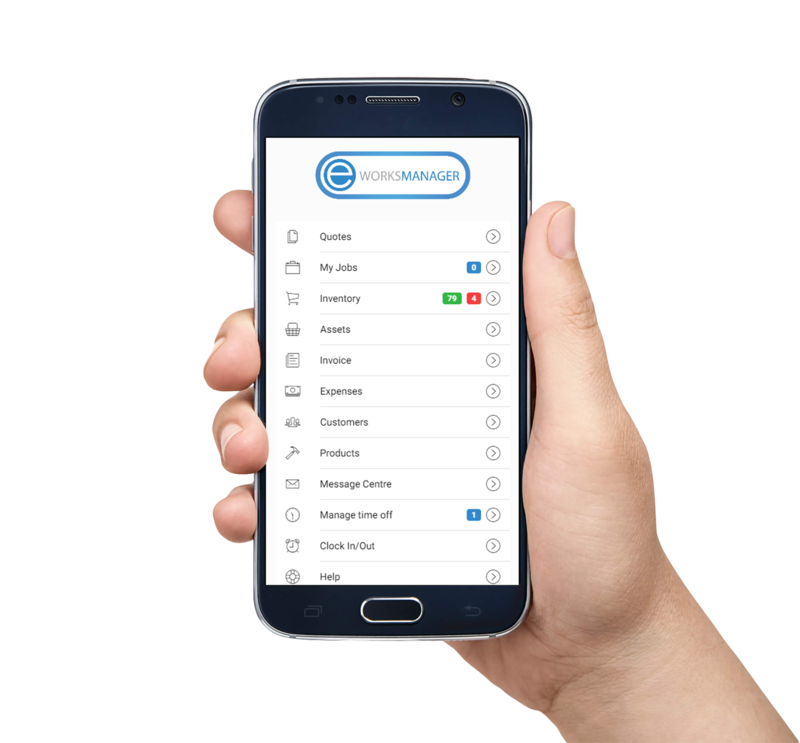 Integrated with the Eworks mobile App means that every action that is taken in the field automatically reflects on the admin system, making sure that admin staff immediately rectify issues that may arise. Manage all your workforce diaries and schedule on our planners. Respond to emergencies with efficiency and know you have scheduled the right person. Ensure you are achieving all your project goals with our automated job management system.